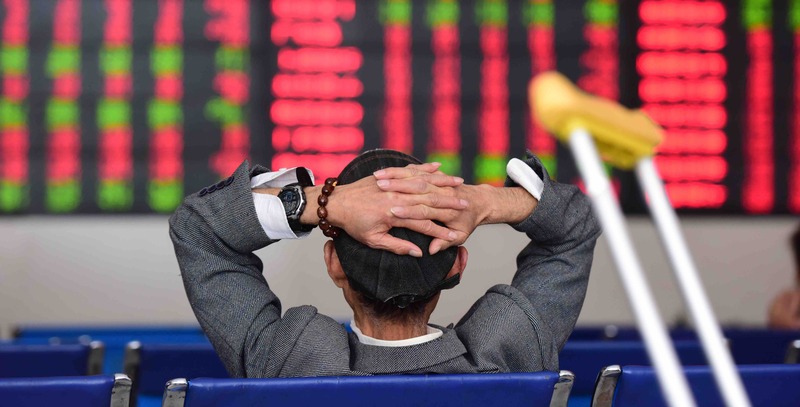 If you believe the headlines, a new era of financial openness has started in China. Certainly, the number of recent announcements is unprecedented in terms of scope. This month saw index provider MSCI announce details about the inclusion of “China A” shares in its much-followed emerging market index. Plans have been made to bring back high-profile listings, such as Alibaba, on either the Shanghai or Shenzhen exchange via a depository receipt scheme. And the recent opening of a crude oil futures contract accessible to both domestic and international investors is genuinely newsworthy. Capping off these announcements is the approval, after decades of lobbying, to allow full ownership across almost all financial intermediaries sectors. Securities, banking, insurance, and fund management have been fully opened, or will be within only a few years, to 100% foreign ownership. Since the 1990s, as China cobbled together a financial infrastructure, foreign banks, brokers, and insurers have been desperate to get involved. Funds management and insurance were generally less restrictive than securities and banking, while credit services such as Visa and MasterCard were completely closed off. All that has changed now, but will the long-hoped-for ownership changes actually impact China’s financial landscape? The glacial pace of change is best represented by Morgan Stanley’s experience in the securities sector. After forming the first joint venture in 1995 and pressing for more opening, it wasn’t until nearly two decades later that they eventually divested of that deal. Morgan Stanley then struck a new joint venture deal on what were arguably worse terms than they received in 1995. CEOs across the world became highly frustrated as Chinese markets grew exponentially in size yet remained out of reach. High-level lobbying to open Chinese banks and brokerages became a regular feature of US, EU, and China interactions, generally with minimal results. World Trade Organisation promises remained unfulfilled as participants grew cynical. Even when opening did occur and ownership limits increased, the Chinese authorities were masters at slowing approvals or limiting access via other means: think a different approval for every bank branch to be opened; think limited ability to fund onshore entities from offshore; think limited licences for brokerage activity, i.e. underwriting ability but with no secondary market trading licence. The recent announcements of increased ownership coupled with fair access, treating local and foreign companies the same, is what was always asked for. UBS, Nomura, J. P. Morgan, and Société Générale have all announced plans to take advantage of the new rules. But the changes have come too late to make any meaningful differences to the Chinese financial landscape. The Chinese markets of the present are very different from a decade ago, and certainly very different from two decades ago. The restrictions on foreign capital were put in place to protect domestic players, and they worked well. Chinese firms dwarf anything foreigners can do in China, and the ability now of foreign firms to make any significant inroads in securities or banking remains unlikely. Foreign capital will grow, but it comes from a tiny base. Even now, foreign banks are only around 2% of bank assets in China. None of the Chinese market leaders will feel threatened by the opening. Of course, size is no measure of quality, and the Chinese firms generally fall well short of best international practice, but since they are dominant onshore, few care about making a mark offshore. So it’s a thank you for opening, but it comes too little too late to make a difference: a day-late, dollar-short reform. A comparison with Chinese counterparts, however, only tells part of the story. Given the woeful state of financial infrastructure, China was able to leapfrog many developed markets when it came to e-finance, e-payments, and online banking. WeChat and Alipay are indispensable financial tools for Chinese retail and business, but neither fit into the traditional financial framework. They are very much tech innovations, not financial ones. The traditional Chinese financial institutions are struggling to adapt to the new landscape, and the foreign firms are completely excluded. Foreigners have at last got access to a market which has now changed beyond recognition from when they started lobbying. It is the financial equivalent of VHS cassettes and DVDs versus live streaming and downloads: which one would you want to be in? Foreigners will increase their businesses in China. Their stakes will grow and there will be some successes. But that will not change the fundamental nature of the Chinese markets. A distrust of market signals and an overreaching state and party mean that the market will not be a decisive factor for many years to come in China. Those talking of a financial big bang with equal access for all can be comfortably ignored.